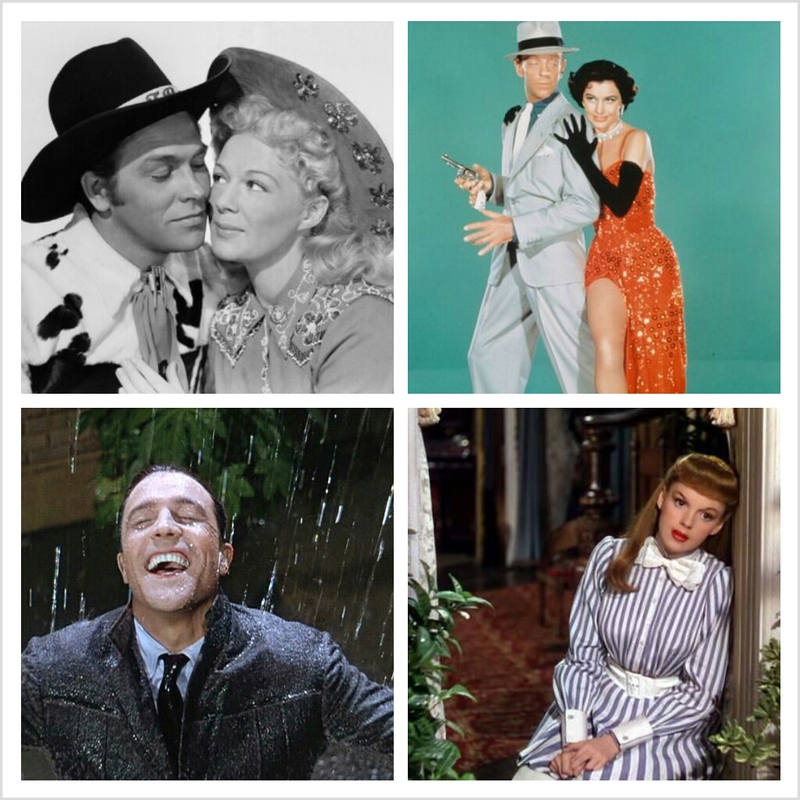 Annie Get Your Gun, Bandwagon, Singin’ in the Rain and Meet Me in St. Louis are just a few MGM musicals Arthur Freed produced. These are just a few of the well-known, Technicolor MGM musicals that producer Arthur Freed produced. But before working with some of Hollywood’s most talented stars, Freed was born down south. Freed, real name Arthur Grossman, was born in 1894 in Charleston, S.C.
His parents, sister and brothers were a musical family. Freed’s father, Max, emigrated from Budapest in the 1880s. Max Freed sold zithers and encouraged his children’s musical talents. Arthur’s brother Walter became an organist, Sydney and Clarence had recording businesses in Hollywood, Ralph was a songwriter and Ruth also wrote several songs, according to M-G-M’s Greatest Musicals: The Arthur Freed Unit by Hugh Fordin. 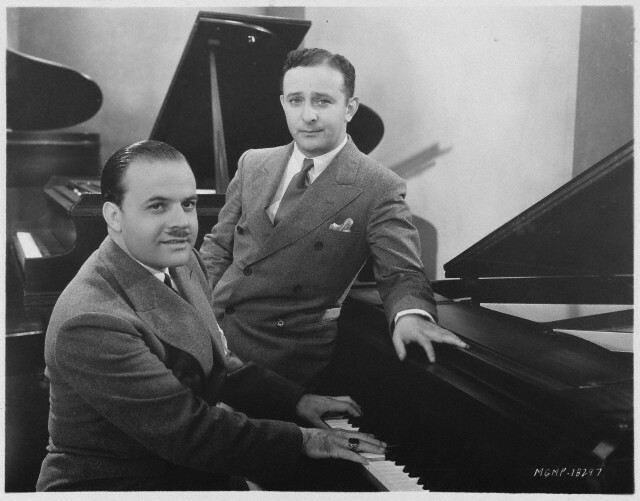 Nacio Herb Brown (left) and Arthur Freed (right) in 1929. The two wrote several songs together. Though Freed was born in Charleston, he was raised in Seattle, Washington, educated in New Hampshire and started his music career as a song plugger in Chicago. In Chicago, Minnie Marx, mother of the Marx Brothers, discovered Freed who sang and wrote material for the brothers in vaudeville shows, according to Billboard Aug. 1950. 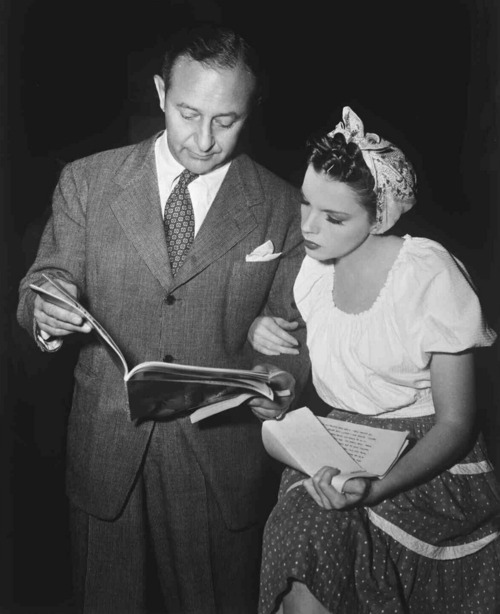 Freed began producing films in the late 1930s and became interested in helping promote Judy Garland’s career. From 1939 to 1960, Arthur Freed produced 44 films. It’s safe to say I have seen every Freed production. After working with some of MGM’s top talents and winning an Academy Award for Best Picture for “Gigi,” Freed left the studio in 1961. Freed died at the age of 78 in 1973 and was buried in Culver City, California. Although Freed did not spend much of his life in Charleston, I felt it important that one of Hollywood’s most prolific producers was born in my birth state of South Carolina.